Is Teeth Bleaching really for you? ‍Metal and tooth-coloured fillings cannot be whitened, and will ultimately affect the colour of your teeth. Bleaching your teeth may actually heighten and highlight the contrast between these fillings and your natural teeth. Tooth decay presents as brownish or black holes in your teeth – they cannot be whitened. You have to see your dentist immediately for fillings! ‍This is especially so if you have been neglecting proper oral health habits throughout the younger years of your life. As stains accumulate within the teeth, this causes a dense and thick network of molecules that the bleaching agent cannot penetrate. Older people, hence, are generally are unable to whiten their teeth to the same extent as younger people. Bleaching treatment also require a longer time to take effect. ‍It is natural that the outer layer of our teeth gets worn out with all the grinding and chewing over time. As the outer layer (enamel) wears down to reveal more of the inner later (dentine), our teeth will appear to be more yellowish. 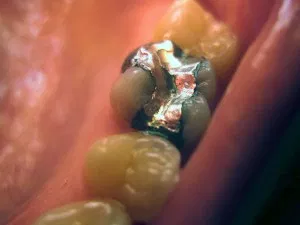 This CANNOT be rectified by bleaching, and is worse in people with severely worn down teeth due to excessive grinding habits or an acidic diet. Your dentist tells you that you need to do a root canal, but you have been putting it off. You realise that your tooth now looks discoloured. You have experienced trauma (falls, accidents) to that tooth. ‍These include the realm of teeth deformities and malformation. The reasons for them are numerous, ranging from medical conditions to malnutrition. Some common examples include fluorosis and tetracycline staining. Fluorosis staining is attributed by over-ingestion of fluoride when the teeth are forming. Bleaching may not be effective – more aggressive treatment like crowns and veneers may be indicated instead.You may also have teeth staining if you have taken certain antibiotics when your teeth was forming. One example is tetracycline – pregnant mothers as well as young children below the ages of 8 should avoid it. If you suspect that your teeth discoloration may be due to these reasons, please visit your dentist. Need Help Finding the Right Teeth Whitening Specialist? Let us help you!